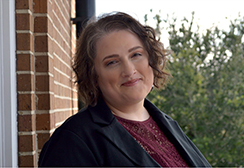 Please join me in welcoming Jessica Hughes as the new Executive Director of The Association of Specialized and Cooperative Library Agencies (ASCLA) and the Reference and User Services Association (RUSA), divisions of the American Library Association. Jessica will start with ALA on Monday, October 9, 2017. Jessica currently serves as the Chief Operating Officer for Florida Hospice & Palliative Care Association. Prior to her current position, she was their Director of Development (2010) and Director of Strategic Initiatives (2011). Before joining Florida Hospice & Palliative Care Association, Jessica was the Director of Development for Community Christian School. She also held positions at Northwestern College and at the Minnesota Electrical Association. Jessica has a B.S in Organizational Development from Northwestern College and has studied Philanthropy and Development at St. Mary’s University. Sincere appreciation for a smooth and productive search go to the search committee: Jeannette Smithee, ASCLA President; Michael Golrick, ASCLA Immediate Past President; Chris LeBeau, RUSA President; Alesia McManus, RUSA Immediate Past President; Christina Shutt, Immediate Past-Chairperson, RUSA History Section; Lorelle Swader, Director, ALA Office for Human Resource Development and Recruitment & the ALA-Allied Professional Association; Kerry Ward, Executive Director, ALA/Library Leadership and Management Association; Dan Hoppe, Associate Executive Director, ALA Human Resources; and, Mary Ghikas ALA Interim Executive Director.